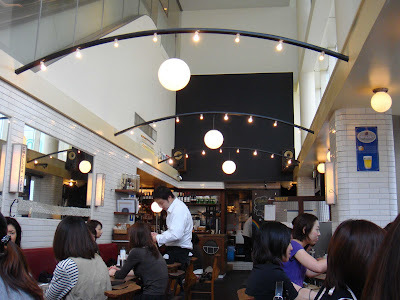 I believe that a good spatial design such of cafe is the one which creates nice imprints of memory. It is not an easy job and usually it could be more easier just to build something beautiful or elegant on the appearance, like those monumental architectural design. Personally I am not against those particular design because they serve their purpose too; but I prefer spatial construction with architectural elements as the background to nurture meaningful imprints of our memory. 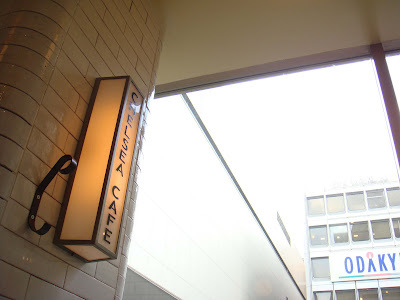 In terms of my not-so-supported-by-fellow-architecture-friends-in-Japan's philosophy, I think Chelsea Cafe could be counted as one of the successful spatial design which contributed to my life experience. Maybe it happened accidentally, but it sure did. It was a rainy night in '07 winter when a friend (who is my wife now) called. She could not find any other friends in Tokyo to accompany her for dinner because it was year end that time and everybody was out of the town. We had a nice dinner at a Mexican restaurant near Shinjuku station, and we kept on talking and talking and talking even after we left the restaurant. So I voted for a little journey to search for cakes because it was her birthday. Luckily we found a cafe nearby, which was Chelsea. 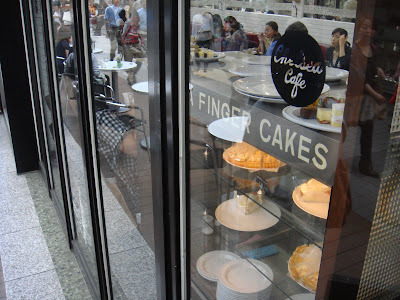 But I did not remember the name last time because all the concern was about the cakes in the show window. Most of the cakes were out of order because it was getting late, but we managed to have some. 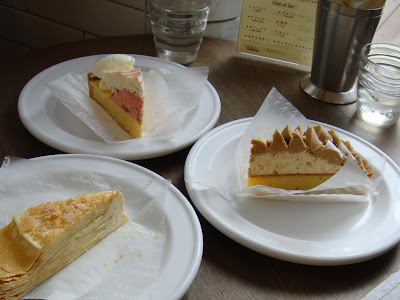 To be honest, I do not have any clear memory about the cafe of that night; I remember only the blur experience of having cakes on a cold winter night there. But that is enough - to know that we are sharing something together. Yes, to share something together, that is a nice and meaningful memory imprint. Whether it is a cafe, or any spatial design, I always place the experiential approach in my design recipe. It is not an easy path, but whenever there's a will, there's a way. Besides, the beauty within exceeds those without.